As the accolades pour in for my beloved hometown of Greenville, it all comes with a Yogi Berra sort of price tag. No one goes there anymore because it’s too crowded. Seriously, if you live anywhere but Main Street, visiting Main Street now feels like going to a new town. As commercial builders rush to capitalize on our publicity it’s getting harder for us locals to enjoy the show. And now we (some of us) have a new reason to cringe, Chef Sean Brock just announced a third location of his stunningly delicious Husk Restaurant, you guessed it, on our Main Street. Now don’t get me wrong. I love everything about Husk. Especially the part about it being in Charleston. Chef Brock’s pimento cheese, pork rinds, crispy pig ears, cornbread, pork belly, and fried chicken were perhaps the finest examples of these Southern staples I’ve ever had. And the cocktails from Husk’s bar and the professionalism of the service are both world class. However, unless you live in New Orleans or New York City, one should be expected to travel outside of their own city to have the most memorable meal of their life. The fact that Husk is in the glorious, magical, far away town of Charleston makes a visit so much more special. When I visit Charleston, I don’t mind dodging horse-drawn carriages, bumping over the occasional road that belongs in Game of Thrones, and the inevitable seersucker spill in the harbor because I know that a life-changing meal awaits. And when I do travel that far east, I’m wearing my best linens and one of my wife’s handmade ties. When I have lunch in my town of Greenville, I might be wearing matching socks. So my fellow Greenvillians and soon to be visitors, if you want a memorable, handmade lunch and you’re not wearing your finest seersucker or don’t feel like fighting off a TV crew from the Travel Channel for a parking spot then read on. Here’s five recommendations for a great lunch, far from downtown, where you’ll spend less than ten bucks. I love this quirky place. First of all, it’s in the tiny burb of Conestee, the building has a face only a brick salesman could love and they’re third generation restaurateurs. Their mainstay is their delivery business, and on Thursday and Friday, they also serve lunch. That’s right, they serve lunch two days a week. And the food is a carbohydrate lover’s dream. Pasta, eggplant, lasagna, and sandwiches, subdued with hearty meatballs or pan-fried chicken breasts, drenched with handmade tomato sauce then covered with mozzarella. 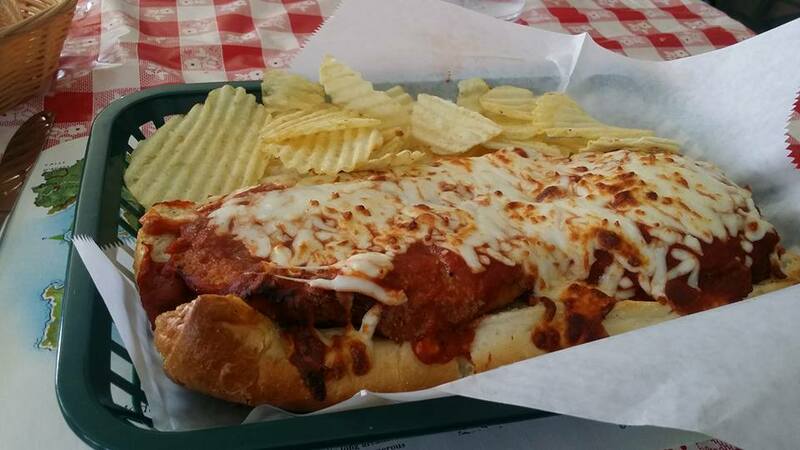 If it’s winter time or I’ve got a 60-mile bike ride in my immediate future, I have no problem downing an entire chicken parmesan sandwich, which probably packs enough calories to feed a family of four. Susie & Ed’s delivers family size portions of their seriously delicious Italian staples Monday through Saturday and usually has something available in their to-go section. Mekong is a great example of what a hard-working family can do with an abandoned Arby’s and a few empty pickle buckets. Drive behind this place and you’ll see what I mean. 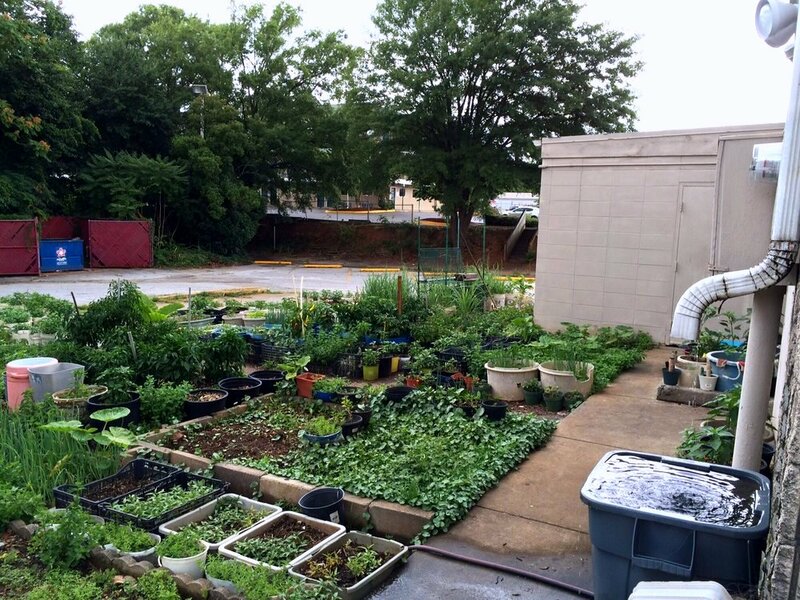 Using captured rain water, bus tubs, and five-gallon buckets, the Tran family has created a mini farm where they grow their own peppers, herbs, greens, sprouts, etc. At Mekong they serve a wonderful array of Pho, noodle, and rice dishes punctuated with lemongrass, curry, chili, and basil. Their Kim Chee is spicy and effervescent enough to satisfy devotees and their steamed duck bun is a favorite treat amongst Greenville’s culinarians. Their Pho, redolent with handmade broth, sliced jalapenos, and their own fresh herbs, is stunning delicious and will set you back a whopping seven dollars. 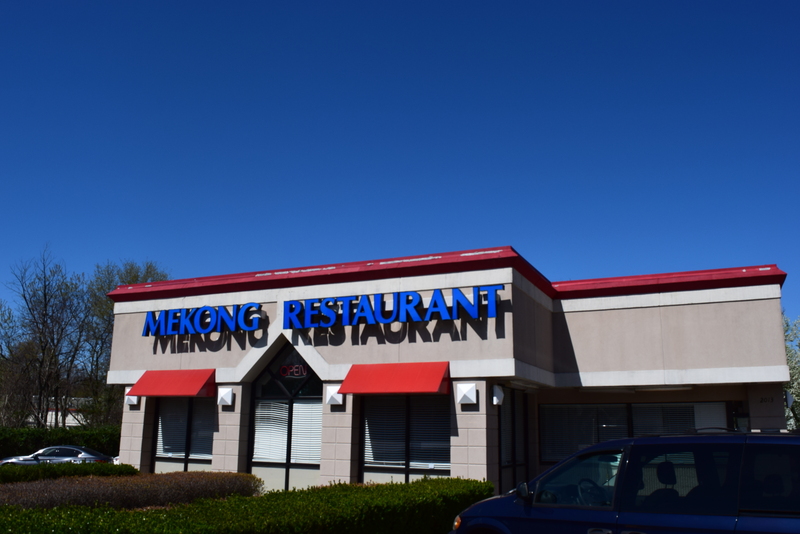 Mekong is on Wade Hampton, just north of Pleasantburg Highway and they serve lunch and dinner Tuesday through Sunday. Mekong’s garden. Doesn’t get more local than this. John Wilson smiles readily, waves heartily, welcomes you boisterously, and cooks passionately. 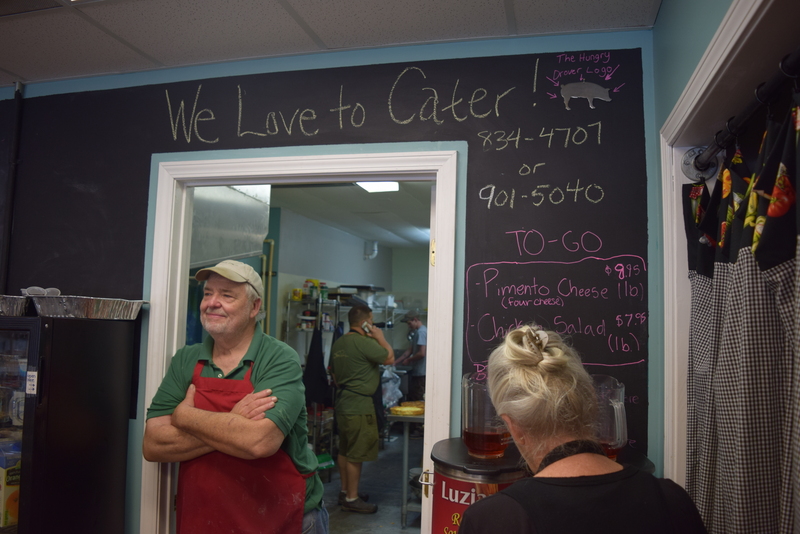 He’s got an infectious personality that makes a trip to the Drover a worthwhile experience and he serves up plates of biscuits and grits that are worthy of a bucket list. The wait staff is quick with the coffee pot and quicker with a compliment. The menu is chock full of Southern goodness that will impress even the cousins from Atlanta. Handmade sourdough breads, locally produced sausage, handmade pimento cheese, stacks of smoky bacon, homemade pies, and bowls of butter-infused stone ground grits await you in the suburbs of Tigerville. Expect to pay about six to eight dollars for one of their signature plates or sandwiches. And if you’re a fan of pie, share a slice of their toasted coconut cream pie. 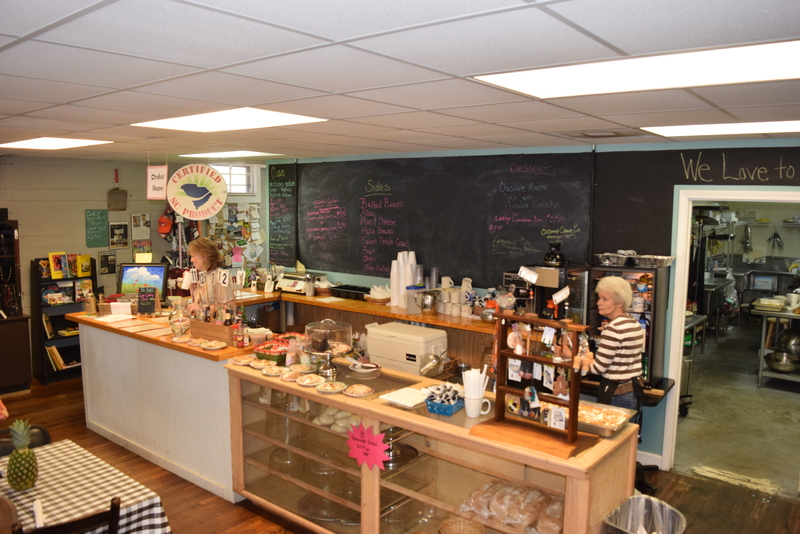 Hungry Drover sells bread, sweet rolls, and some locally handcrafted jewelry and art. 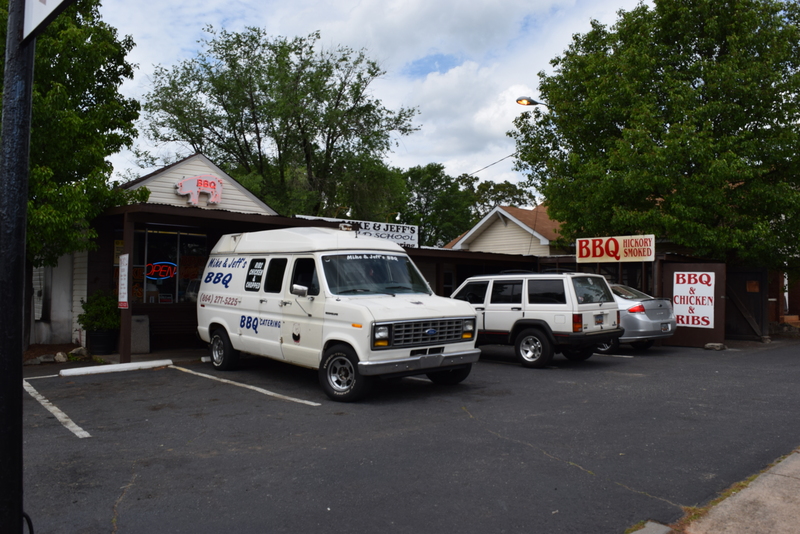 If one of the various BBQ associations ever decides to give architectural awards for the most unassuming smoke shack, then Mike & Jeff’s could be a front-runner. This place is as “joint” as they come yet the food and service are all first class. 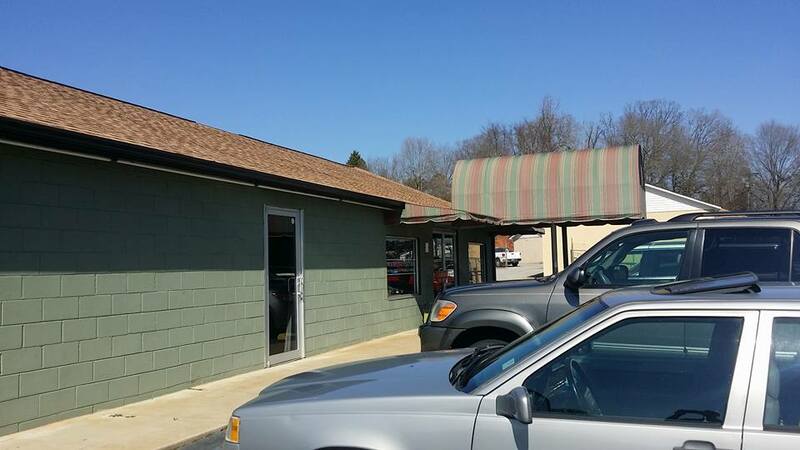 They’re on Old Buncombe Road in an industrial, blue collar side of town yet they attract a wide range of clients. From attorneys to brick masons, everyone is made at home. 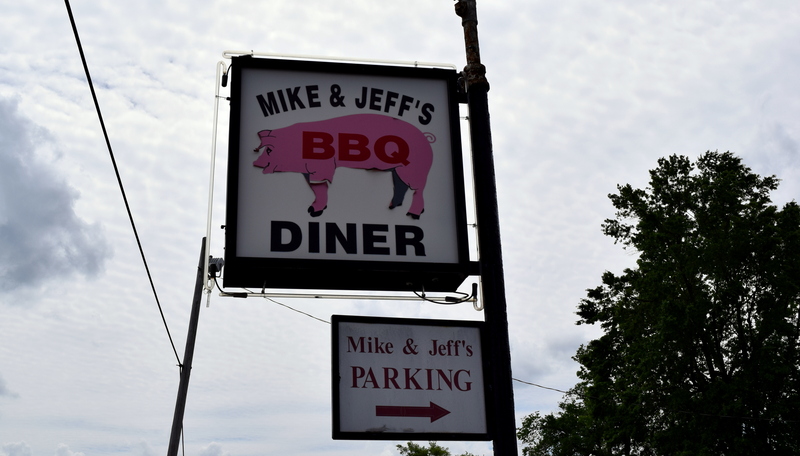 For less than eight dollars, Mike & Jeff’s serves a pulled pork sandwich with a couple of sides. Add a glass of sweet tea and a tip for your smiling server and you’ll leave a ten-dollar bill on the table. That’s right, I said hospital. Although they would prefer you call it a health system, it’s still a big building where doctors operate on people and care for the sick. The lobby of our largest hospital sports a food court that can handle hundreds of customers at a time, and still provide reasonably delicious food. Underneath their 1980’s cut glass roof, the atrium lobby houses several fast-food standbys and it’s their cafeteria that I’ll recommend. And before you turn your nose up, think about this. 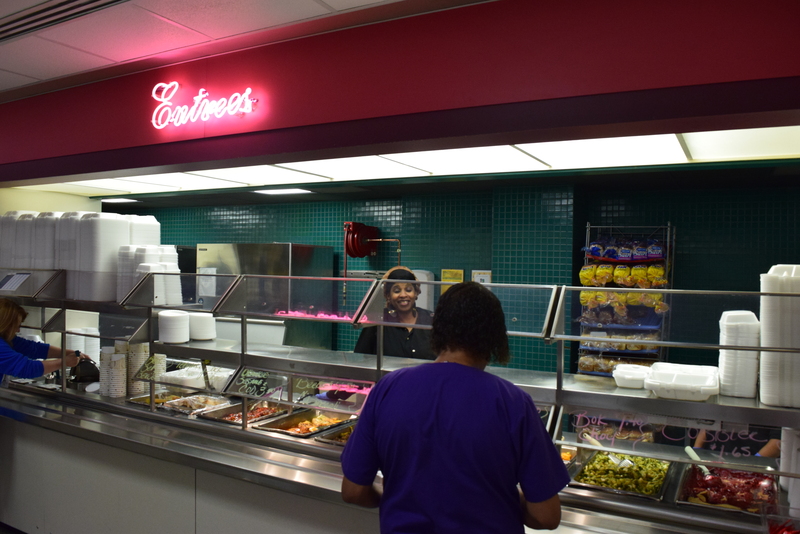 Under that bustling roof you can enjoy baked or grilled fresh fish, real fried chicken, pot roast, a variety of fresh vegetables, a salad bar, a sandwich bar, a great selection of beverages, and excellent service all for less than ten bucks. We are talking about a hospital so the food won’t challenge your palate yet it’s properly prepared, served hot, and the staff knows the value of a smile. Seriously, if you’re on the south side of town with a limited amount of time for lunch, it’s hard to beat this place. And you might just sit next to a dermatologist that doesn’t mind looking at your rash. So there you have it. 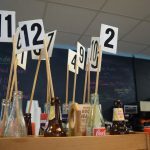 If you’re looking for an interesting or fun lunch away from the crowd of Main Street then consider one of these favorites. And let me know what you think.